Vicky MacDonald of the Deganwy History Group is giving her brilliant talk ‘Crossing the Conwy’ at Penmaenmawr Community Centre on Wednesday, April 17th at 7.30pm. Before the talk there will be a short AGM for the Penmaenmawr Historical Society & Museum. Image is Conway Bridge. 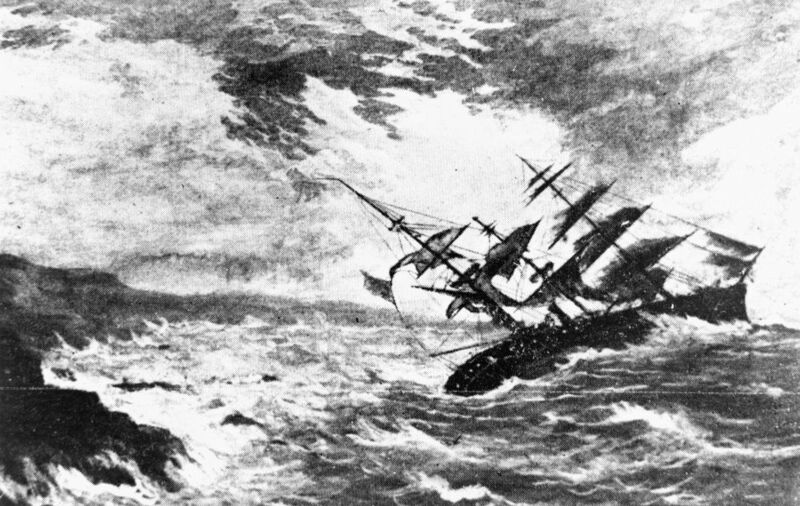 Floating of second tube, September, 1848 by Hawkins, George, the younger 1819-1852 lithographer and was digitised by The National Library of Wales. 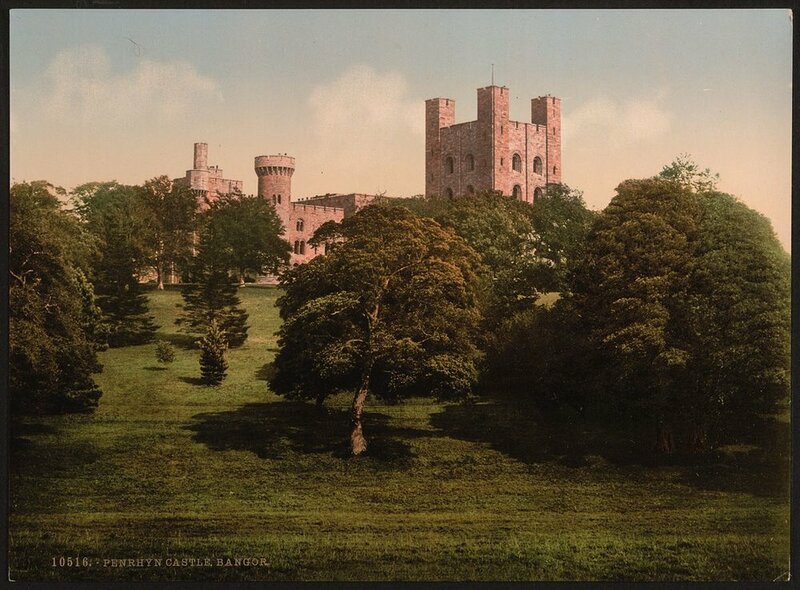 A number of families had a major effect on industry in North Wales, amongst them The Pennants, the Oakeleys and of course the Darbishires at Penmaenmawr. 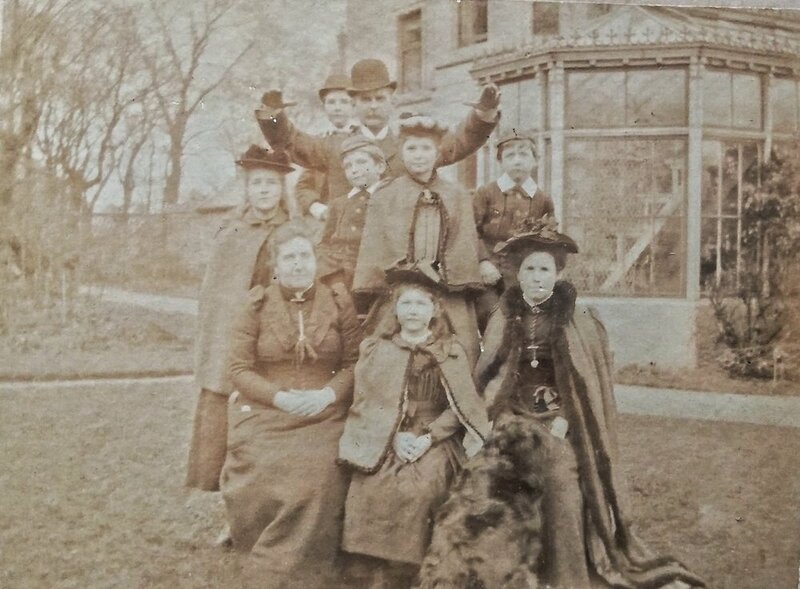 Come along to Penmaenmawr Community Centre on Wednesday, February 20th at 7.30pm and hear Mike Blackburn’s fascinating talk ‘Industrial Families of North Wales’. 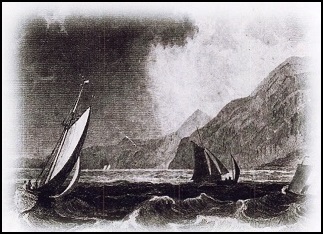 Penmaenmawr Historical Society's evening talk for November is entitled 'The Royal Charter Disaster - Moelfre 1859' and will be given by Peter Day. It is at Penmaenmawr Community Centre on Wednesday, 21st November starting at 7.30pm and everyone is invited to come along. Entry is free for PHS&M members (membership is £10) and £2 for non-members. There will tea, coffee, biscuits and a raffle. Banner image held by and is used with permission of the Brisbane John Oxley Library, State Library of Queensland. The First World War Memorial at the Community Centre records sixty three young men from Penmaenmawr who were killed during the 1914-18 conflict. Since 2014 we have supported the Conwy Comrades Club (formerly the Royal British Legion) in commemorating their sacrifice in a rather special way. Poppies with details of the deceased will be displayed, with the permission of the present owners, on gates and doors of their final addresses. They will remain there from October 28th until November 18th. The first Penmaenmawr Historical Society talk of the 2018/19 Autumn/Winter season is entitled 'The Pennants of Penrhyn in Jamaica - Wales & Slavery' and will be given by Dr Marian Gwyn, a heritage specialist who worked for the National Trust for nearly 20 years. It will be a fascinating evening and everyone is welcome to come along. The talk starts 7.30 pm on Wednesday, October 17th upstairs at Penmaenmawr Community Centre. 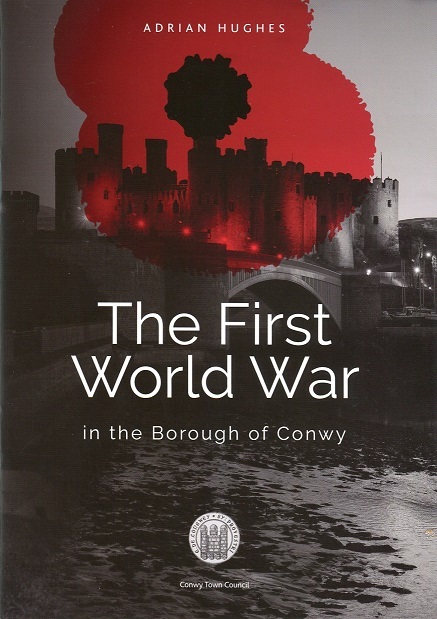 Entry is free to Penmaenmawr Historical Society Members (membership is £10 per year) and £2 for non-members. The Carneddau is a special and varied landscape. A partnership of organisations is developing a project to help people discover, record, care for and celebrate the Carneddau with the help of funding from the Heritage Lottery Fund. The project area includes the high mountains as well as the settlement fringes and valleysides around them. Penmaenmawr Museum is hosting a consultation drop-in for Snowdonia National Park's Carneddau Project. It is at the Museum and is open Saturday, October 6th from 12 noon until 7pm - please call by and share your ideas. As promised we have re-scheduled the Pendyffryn Hall talk and walk. PLEASE NOTE that the talk will be at 11am on Saturday, 1st September and will be at the nearby St Gwynin's Parish Church. Come along and hear about the fascinating history of Pendyffryn Hall including its time as a TB sanatorium. Weather permitting we hope to show the location of the hall and if possible to pop into the hall itself. As always everyone is welcome to join us and it is free to enter (donations to the museum much appreciated). Penmaenmawr Museum have organised a guided coach trip to the top of Penmaenmawr Quarry. Learn about the history of quarrying in Penmaenmawr and enjoy great views of the quarry, over the sea and towards the Carneddau Mountains. The trip is on Thursday, August 23rd and is open to everyone. The coach will leave the museum at 6.30pm and there will be refreshments back at the museum afterwards. Tickets are £10 and can be bought from the museum and through our website. Come along and hear about the fascinating history of Pendyffryn Hall in Penmaenmawr. Who stayed at the Hall? Why did the owners have a private halt on the main railway? Where was the grand lodge? Weather permitting there will be a short, guided short walk around the Hall and Park. Meet in the Coffee Lounge at Pendyffryn Hall at 10:30 am on Sunday, August 5th. We should be finished by about noon. It's open to everyone and it's free to enter (donations to the museum much appreciated). Our next guided walk will be on Saturday, 4th August and will be a gentle walk along Penmaenmawr Promenade and will feature a history of the prom and also take in Plas Mawr. We will meet at 12 noon at the museum at the Old Post Office, Pant yr Afon (opposite the old Mountain View Hotel). The walk is free to enter, is open to everyone and there will be tea, coffee & biscuits back at the museum afterwards. The trip is on Thursday, June 21st and is open to everyone. The coach will leave the museum at 6.30pm and there will be refreshments back at the museum afterwards. Tickets are £10 and can be bought from the museum. 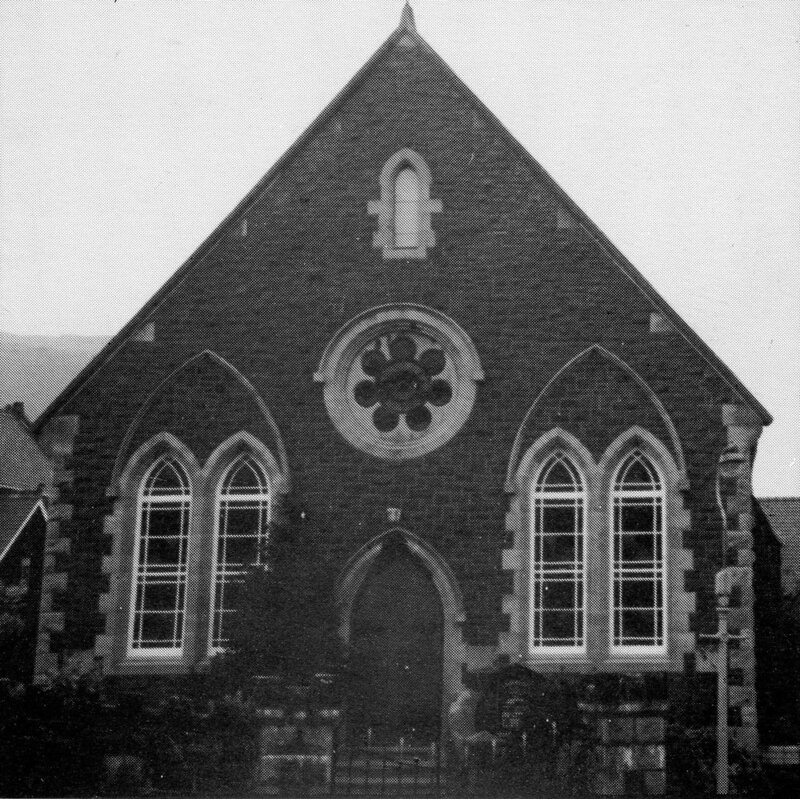 Penmaenmawr Museum is hosting a guided walk entitled The Road to Non-Conformity which will be take in some of Penmaenmawr's many chapels and churches and highlight some of the reasons for the rise of non-conformity. It will be a gentle walk of about 2 miles on the flat, heading west from the museum towards Penmaenan. There will be tea, coffee and biscuits at the museum afterwards. It's on Saturday 9th June, starting from the museum at 12 noon. It is open to everyone and is free to join so come along!! You are invited to our monthly gatherings every first Tuesday of the month for a time of reminiscing and exploring a different theme each time with light refreshments and a raffle. There is a wealth of archive film and photo materials at the Museum but feel free to bring along your own photos and memorabilia. The next Hiraeth is on Tuesday, May 1st from 2pm to 4pm. Entry is free and there is transport available, please get in touch for details. Ashley Batten of the Gwynedd Archaeological Trust is giving a talk for Penmaenmawr Historical Society about the archaeological discoveries made in advance of the proposed Wylfa Newydd power station on Anglesey. His talk will be preceded by the Penmaenmawr Historical Society AGM. It's on Wednesday, April 18th at 7.30pm, upstairs at Penmaenmawr Community Centre. Entry is free for PHS members and £2 for non-members. Everyone is invited and there will be tea, coffee, biscuits and a raffle. The walk will start from Penmaenmawr Museum in Pantyrafon at 12 noon on Saturday, April 7th and it will be about 2 and half miles and last a couple of hours. There will be tea, coffee and biscuits at the Museum afterwards. You are invited to our monthly gatherings every first Wednesday of the month for a time of reminiscing and exploring a different theme every month with light refreshments and a raffle. There is a wealth of archive film and photo materials at the Museum but feel free to bring along your own photos and memorabilia. The next Hiraeth is on Wednesday, April 4th from 2pm to 4pm. This month's theme will be Shops and Cafes in Pantyrafon. Entry is free and there is transport available, please get in touch for details. Penmaenmawr Historical Society's next monthly talk is on Wednesday, March 21st at 7.30pm, upstairs at Penmaenmawr Community Centre. 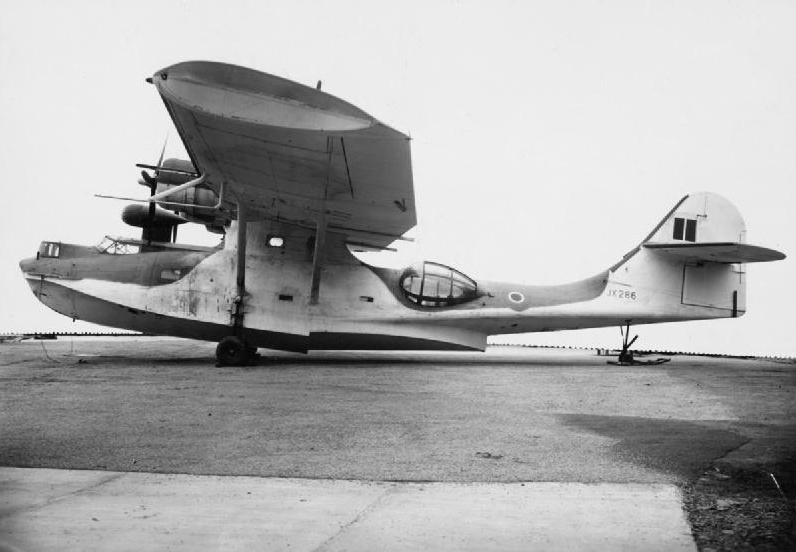 The talk is about the former Saunders Roe Catalina Flying Boat factory in Beaumaris and will be given by Dave Mills. Entry is free for PHS members and £2 for non-members. Everyone is invited and there will be tea, coffee, biscuits and a raffle. Photograph by RAF [Public domain], via Wikimedia Commons. Join us for a guided easy/moderate walk of about 3 miles and about 2.5 hours in duration. Hear about the challenge of crossing the ‘Cliffs Above the Sea’. Learn about Saint Seiriol who had a simple chapel high up on the vertical rocks. There is a booklet available for purchase. There will be tea, coffee & biscuits at the museum afterwards. Donations to the museum are always welcome. Meet at the Museum in the Old Post Office in Pant yr Afon at 12 noon on Saturday March 17th. Call in at Rotary LlanPen's Rotary Roadshow and find out what makes us tick. It's at Penmaenmawr Museum, Pantyrafon, Penmaenmawr and runs from 5pm to 8pm on Thursday, March 15th. Admission is free and there will be light refreshments. You are invited to our launch celebration of Hiraeth with the Museum including free buffet lunch, sing-along with Rocking Ron, reminiscence and access to a wealth of archive film and photo materials, and more! 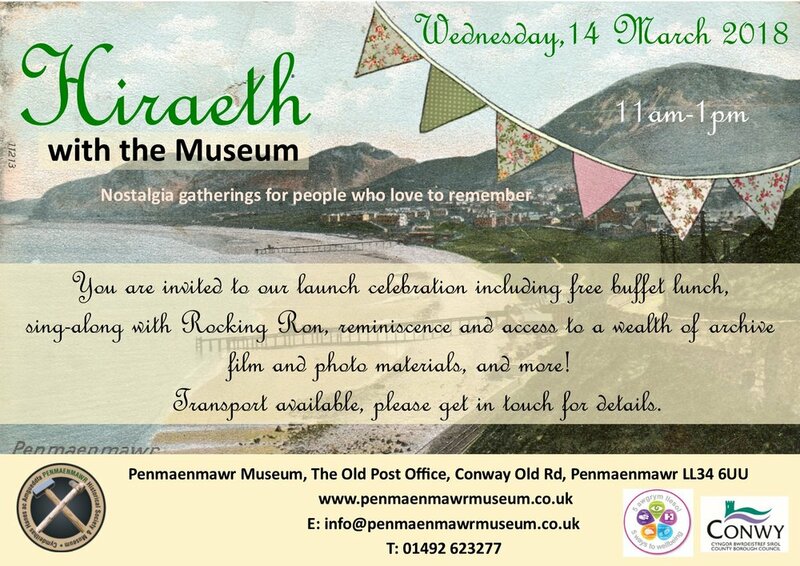 It's on Wednesday, 14th March from 11am to 1pm at Penmaenmawr Museum (in our new premises in the Old Post Office opposite the old Mountain View Hotel). If you need transport then we can provide it so get in touch. Come along to remember some of the places and things people used to do in their spare time. It will involve a short walk for those that are able and there will be refreshments provided. Everyone is invited so come along to Penmaenmawr Museum on Tuesday, March 6th at 10 am. Join us for an informal morning where we will remember the past. It will involve a short walk for those that are able and there will be refreshments provided. Everyone is invited so come along to Penmaenmawr Museum on Tuesday, February 27th at 10 am.